No, not the local hockey team. 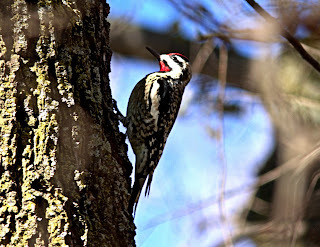 This morning I went back to Rondeau Park for another round, this time in fine weather! Starting with the traditional lakewatch, things looked promising. 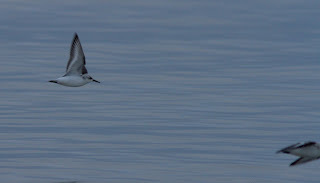 We had a Dunlin fly by just after our arrival, then soon after two Sanderlings flew by (and flew back a while later). That was it for shorebirds! 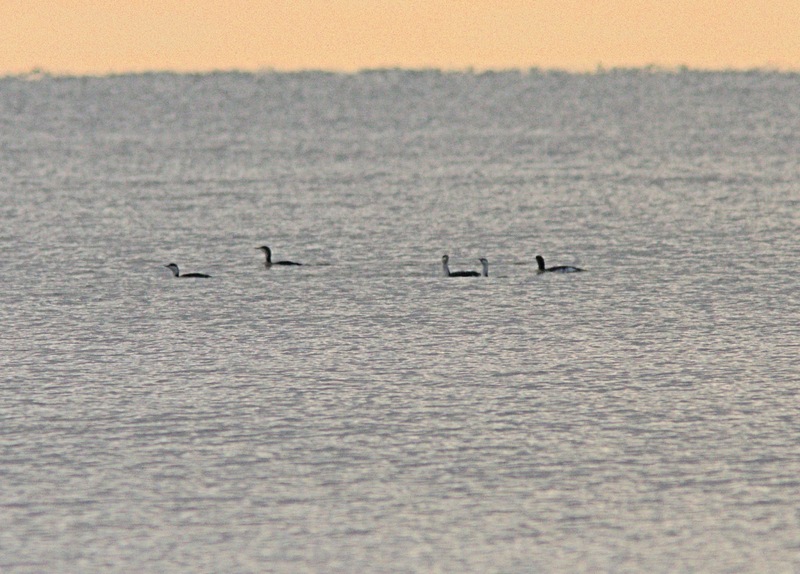 Soon, Red-throated Loons started showing up in twos, threes, and at one point, ten were circling about. 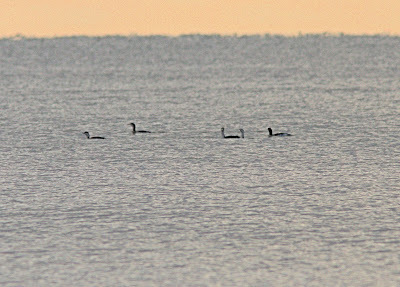 As I mentioned yesterday, Red-throated Loons often stop for a swim. 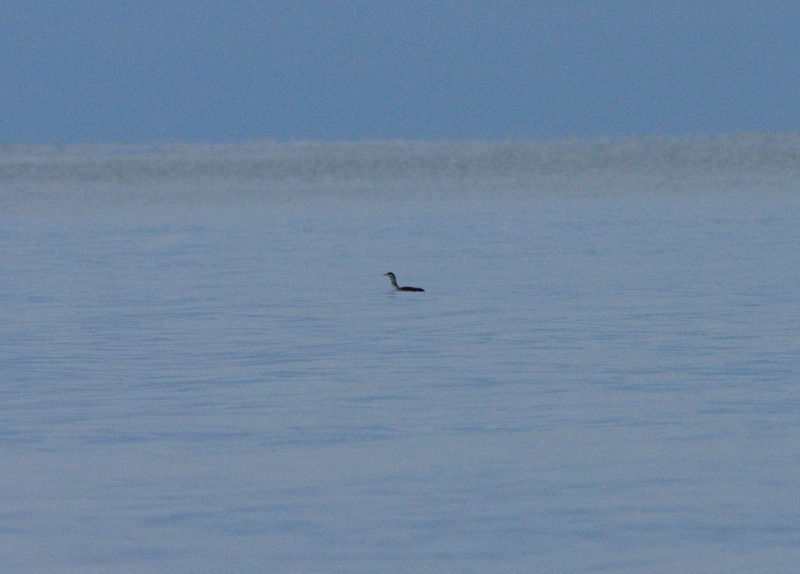 Virtually every one we saw today went swimming. I less than two hours, we counted at least 33, a conservative count. (We only saw 4 Commons today). It has certainly been a good year in these parts for Red-throated Loons. In the last couple of years, we have seen more than ever. True, we are looking more, but one wonders if things have changed. 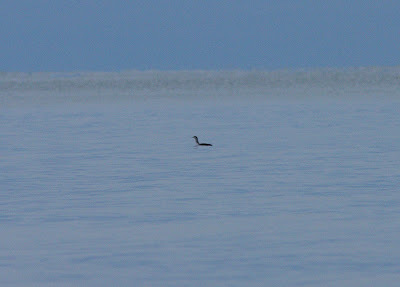 In the past, I was happy to get one or two a year at Rondeau! On south point trail, we saw a nice Red-shouldered Hawk soaring high overhead. 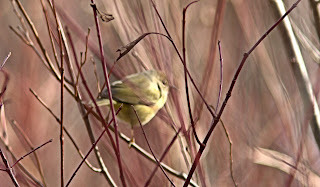 I went on by myself, and came across an Orange-crowned Warbler which would not sit still. It is possible this one could stick around for the CBC December 17. Would be nice in any case. The two Ruby-crowned Kinglets were still in the same area. 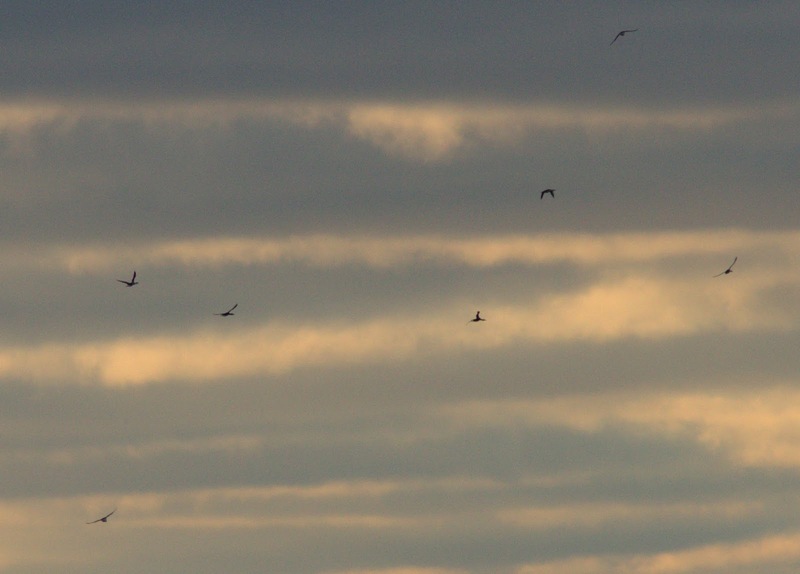 Lakeshore Road had lots of birds this morning. 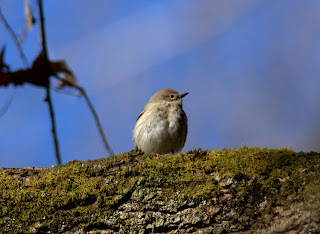 Perhaps it was the unusually nice weather (sun on a weekend for a change!) that brought birds out. 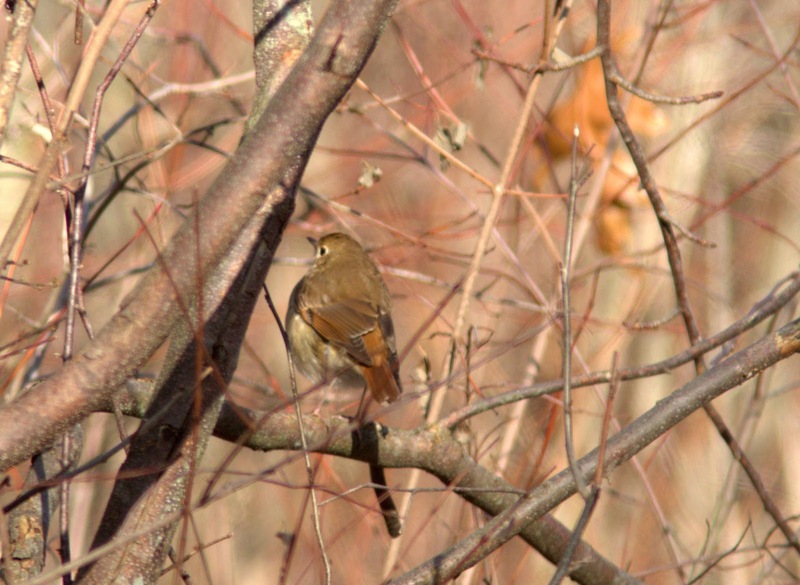 This Hermit Thrush was seeking berries alongside the road. 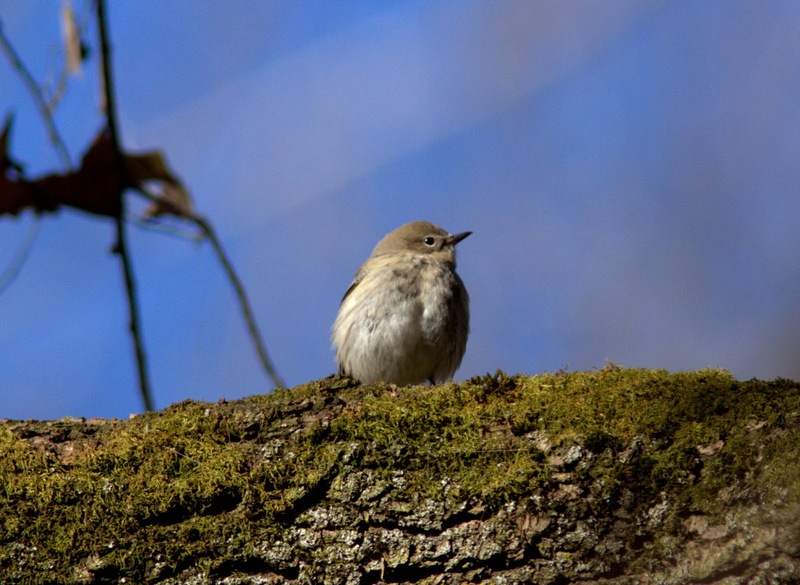 In the campground, I found several Yellow-rumped Warblers and a couple more RCKI. The resident Yellow-bellied Sapsucker showed well today also. 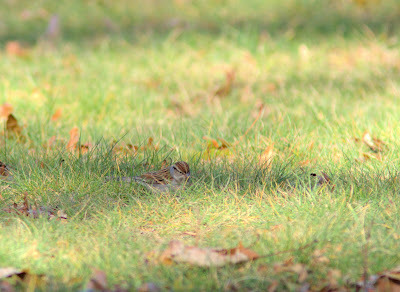 I found a couple of Chipping Sparrows in the campground too. 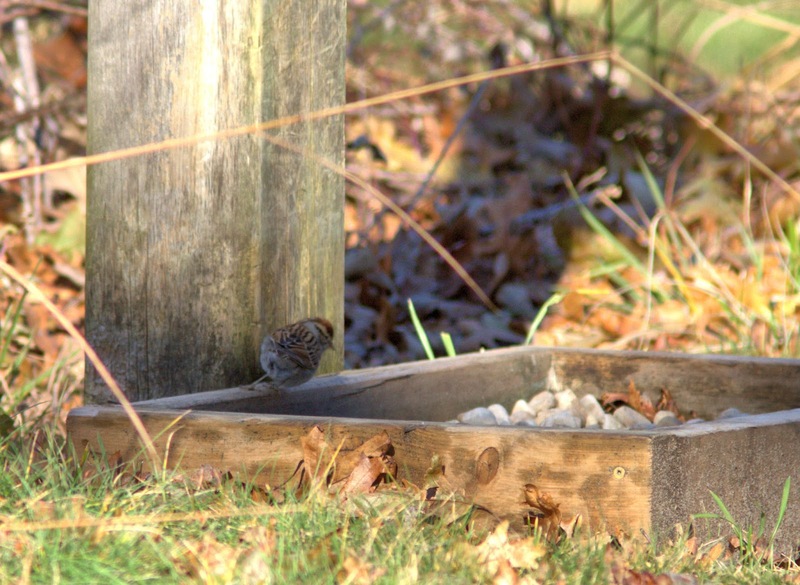 Sparrows were certainly scarce this fall. 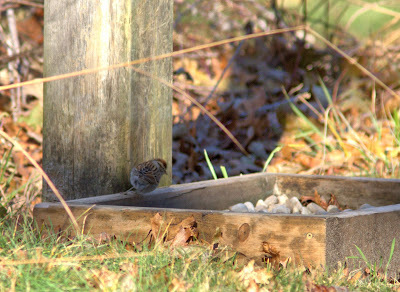 There are lots of Fox Sparrows right now though. Several Yellow-rumped Warblers were still behind maintenance. 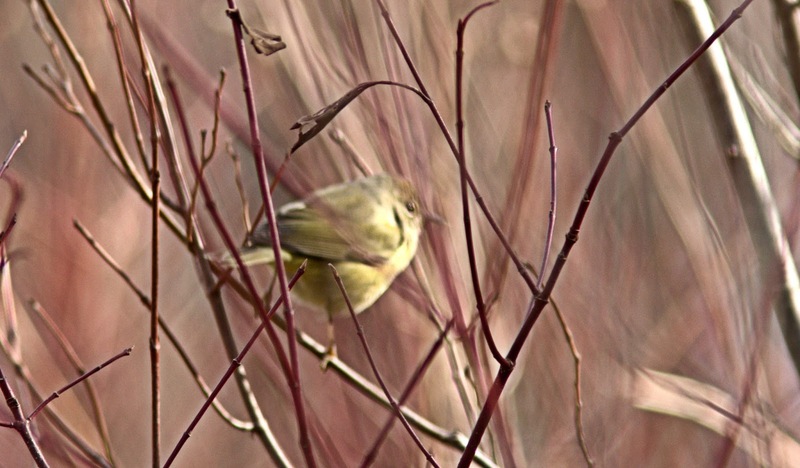 I stopped by the Townsend's Warbler site twice today. Several people were looking again today. The second time I stopped by, it was at the corner of Second and Centre Streets, where it was originally found. It has been two weeks since its discovery. Can it stick around for three more? 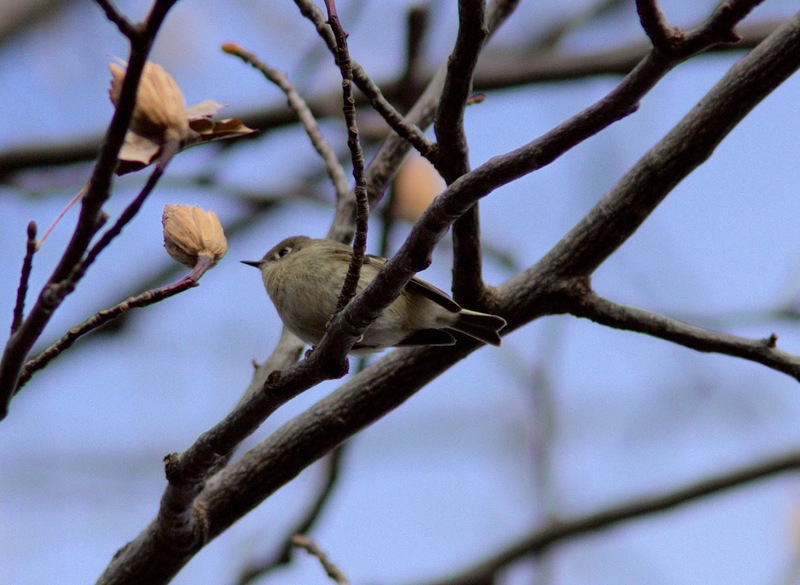 A Pacific will trump two Red-throated! For sure...and now I know what to look for!